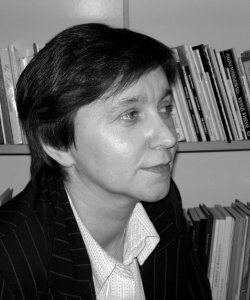 Maria Duszka - a Polish poet, journalist and librarian. She published nine books of poetry. Her poems were translated into twelve languages and have been published in many magazines: “Przekrój”, “Topos”, “Odra”, “Modern Haiku” (USA), “Reibeisen” (Austria), “Bdenje" (Serbia), „Krantai” (Lithuania) i „Kyiv” (Ukraine) and following anthologies: “Contemporary Writers of Poland” (USA 2005 and 2014), “Enough Questions, Enough Answers : Modern Polish Poetry in Translation” (Rice University in Houston, 2008), “Uwalniam ptaki sny : Ich befreie Vogel – Traume – Polish and German Poems: Deutsche und polnische Gedichte” (2009), “Meine Welt – unsere Welt : Lyrik und Prosa” (Germany 2011). She is a laureate of many literature competitions. From 2002 she has been leading Literary Circle “Anima”. She presented her poetry at the festival organised in Germany "Polnischersommer 2010 ". A five times she was guest of International Festiwals of Poetry on Lithuania “Maj nad Wilią” (“May on the Neris”) and “Poezijos pavasaris” (“Spring of Poetry”). In 2012 she received the scholarship of the Ministry of the Culture and the National Legacy.